Ahh…it’s Christmas time. Days and nights of no work or school, warm cups of coffee and tea, and more time for reading. I get a few weeks of break before heading back into the spring semester on January 9th. I have a favorable impression of this very interesting, very well written historical fiction novel. This is my first book by Robert Hicks, and I certainly don’t regret it. What initially attracted me to this book was indeed the historical side of this work of fiction: the events, the main characters, and the setting are all near Franklin, Tennessee, the smaller town around the larger city of Nashville where I born and grew up. It was cool to hear the names of places that I was completely familiar with, only I’m seeing it from the unique perspective of people who lived 150 years ago. 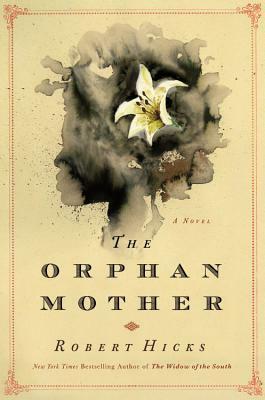 Anyway, “The Orphan Mother” takes place in 1867, right after the Civil War. Former slave Mariah Reddick, now a free woman, continues her association with the wealthy McGavock family who used to own her, only now she makes her living as the town midwife. Mariah’s only son Theopolis, an accomplished shoe maker, attends a political rally with his mind possibly set on politics. Very early in the novel, however, Mariah’s son is violently murdered by several White townspeople while at the rally. The rest of the book is about Mariah’s search for justice for her son through her relationships with several key people–Mrs. McGavock, her former owner, Elijah Dixon, the crooked town magistrate, and George Tole, another mysterious man at the center of the events which took her son’s life. Overall, it’s a sad novel, and even though there is a sliver of hope at the end, it’s still one whose outlook on race relations is completely relevant to today’s times. While I liked this book and the characters themselves were all very believable, the pacing of this book was kinda slow. Several times toward the middle I found myself skipping pages, asking myself when the action was going to continue. There were also a few plot points I found somewhat unbelievable for the time period, given the racial and social taboos of the time. Minus those flaws, I did like this book a lot.